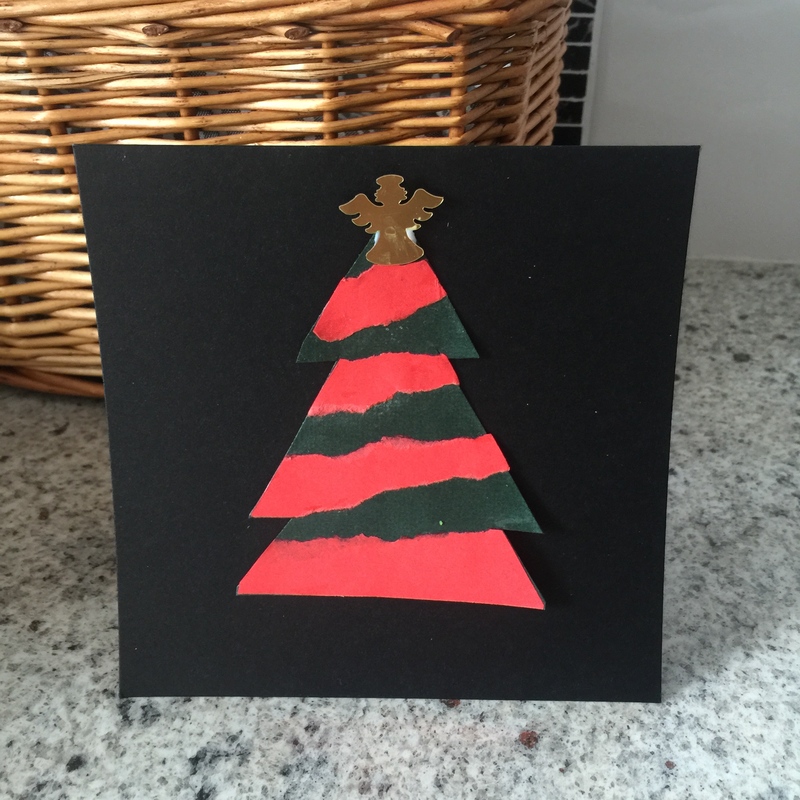 Simple Christmas Card Ideas, Part 1. 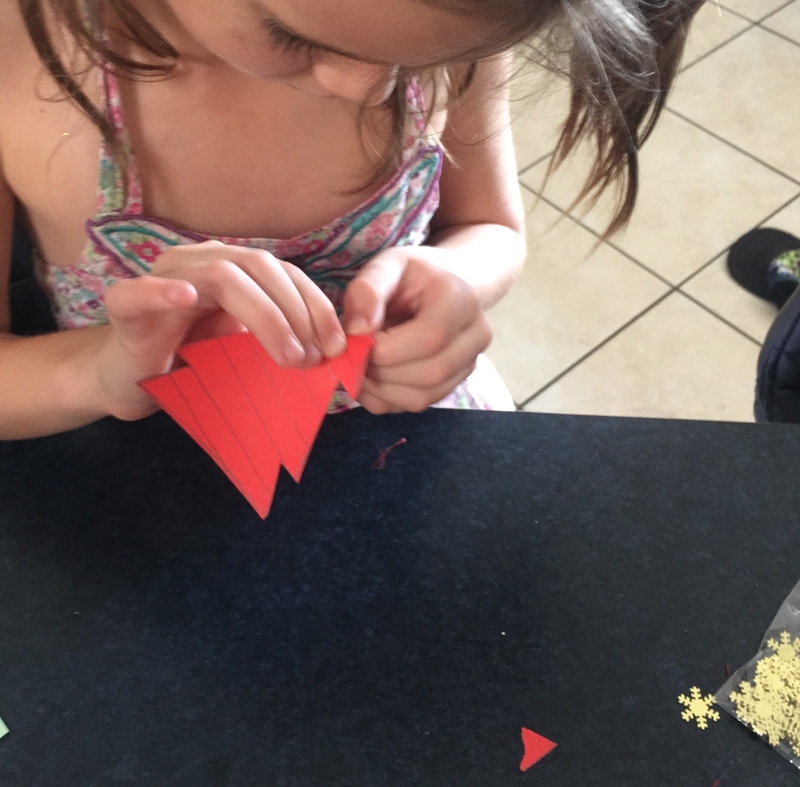 Here’s a simple card decoration idea that doubles up as a fine motor activity. For all the card projects this year I am using plain black card stock. They were $2 for a pack of 12 at a $2 shop. 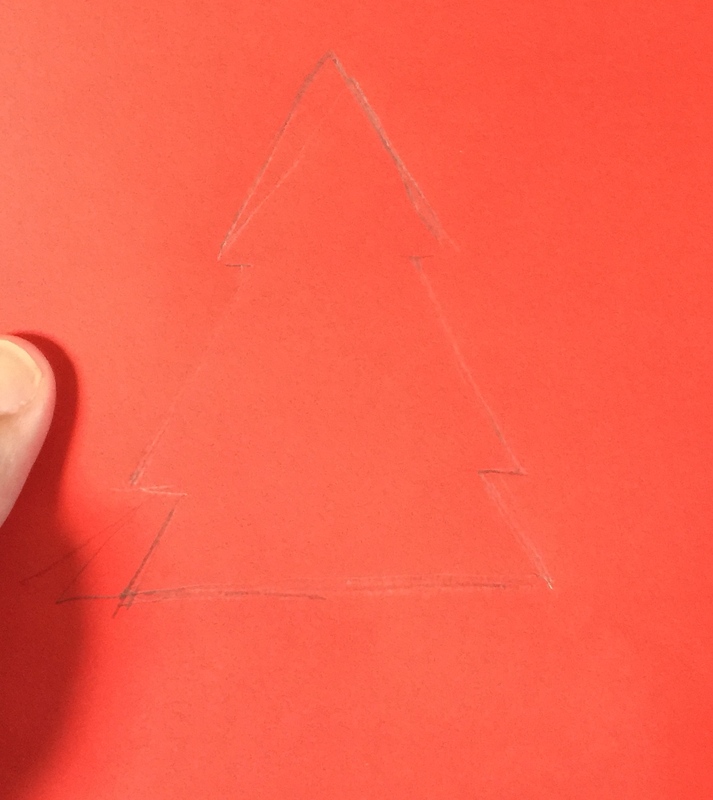 Trace out a tree shape on the back of one of the pieces of paper. 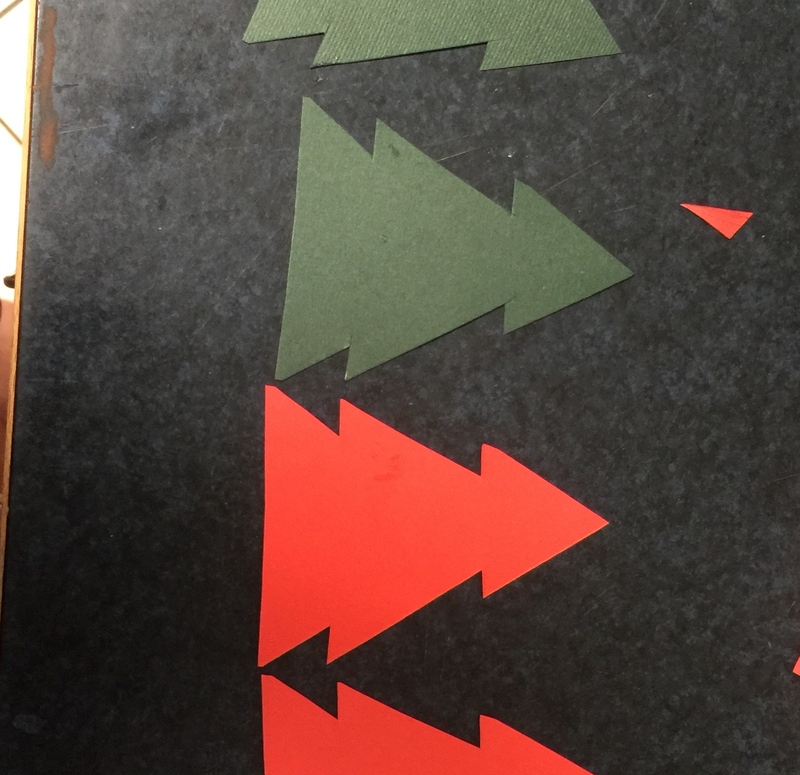 Fold the other coloured paper in half to double it over then bring all 3 pieces together and cut along the outline so you end up with 3 identical shapes. 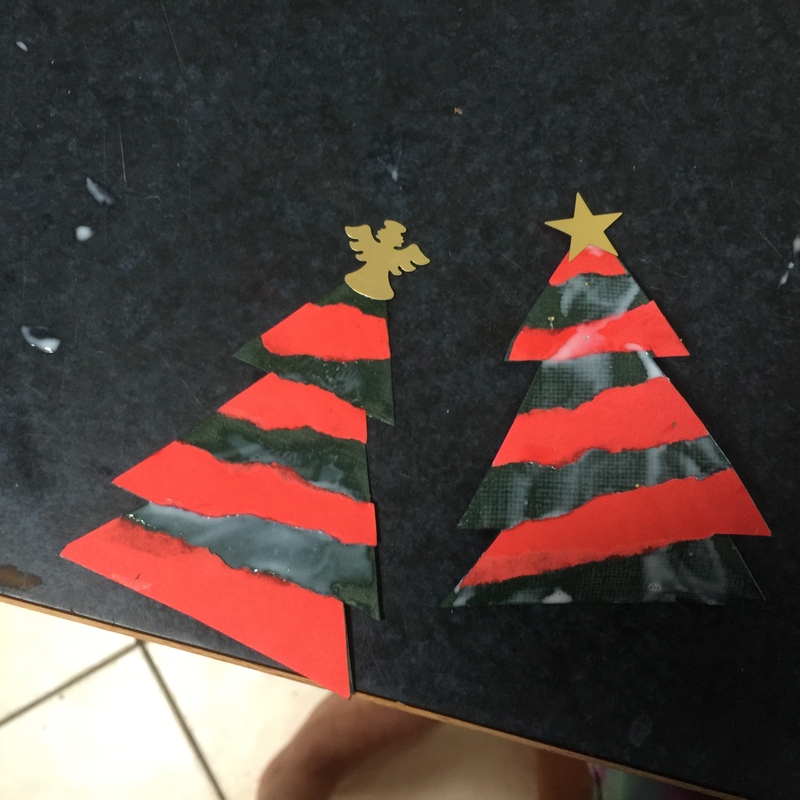 Cover the other colour tree completely with glue, then stick down every second piece of torn paper. draw lines on back of one tree.